It’s hard to know which part of Dario Anselmo’s story might be wiser to keep under wraps now that he’s running for House District 49A (Edina) in the Minnesota House of Representatives: His past as a nightclub owner, which some Edina voters might raise an eyebrow at; or the fact that he’s running as a Republican, which might come as a surprise to the mostly left-leaning music community that knows him as a former nightclub owner. He made no secret of one big reason why he’s on the GOP side of the fence: “As a small business owner, it’s hard not to lean Republican,” he said, pointing to the high entertainment tax and other levies he faced operating the Fine Line. “Running a nightclub is almost as expensive as running for office,” he said. A Duluth native who now lives in Edina's Parkwood Knolls neighborhood, Anselmo ran the Fine Line for nearly two decades – a major feat in the always-rocky nightclub business. He sold the club last year, saying then that he was ready for a change (he says now he was only loosely pondering political aspirations). He still owns the building that houses the club and has other real estate and business investments. 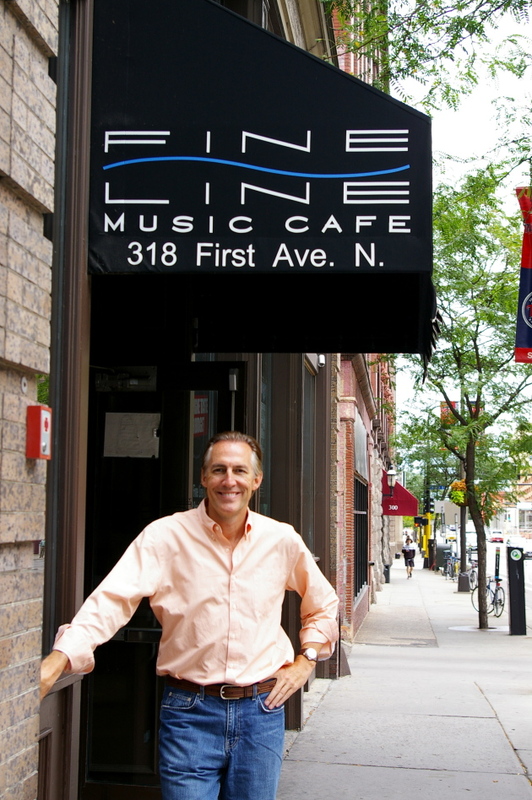 During his tenure at the Fine Line, he co-created the Warehouse District Business Association to advocate for downtown business owners, and he served on the board of the Minneapolis Downtown Council for 12 years. All that experience, he said, “shows I have a well-rounded understanding of the ways things work, and I know how to work across different lines to get things done.” In addition to addressing small-business owner concerns, some of the central issues in his campaign are schools (he has three school-age children), airport noise and healthcare for senior citizens and the mentally ill. Per our Hot Dish Politics blog, Anselmo will have to face former Miss Minnesota Polly Peterson Bowles for the GOP nod, and then DFL incumbent Rep. Ron Erhardt in the final race.